For some people, exercise is a daunting challenge. The good news is that if you use the Peak Fitness Method, exercise can be fun and efficient—you won’t need to take a lot of time out of your schedule to do it! 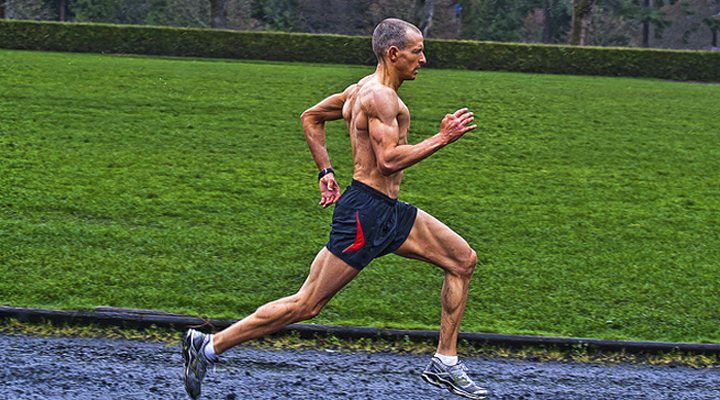 “Peak Fitness” was coined by Phil Campbell, a trainer to athletes for over 35 years. The Peak Fitness approach to exercising takes only twenty minutes a day, but your heart rate peaks eight times during that period of time so that you are working intensely for about four minutes out of those twenty minutes. The best thing about it is that twenty minutes of Peak Fitness exercising will do as much for you as about an hour of other aerobic style exercises! Join Kira and Bill Van Ittersum as they discuss how Peak Fitness Exercising works and the many positive benefits that you might receive with this approach. Does Phil Campbell’s Peak Fitness Increase HGH? Ready, Set, Go! Synergy Fitness by Phil Campbell, ©October 15, 2003, Pristine Publishers, Inc.
Primal Blueprint 21 Day Total Body Transformation: A step-by-step gene reprogramming action plan by Mark Sisson, ©October 18, 2011, Primal Nutrition, Inc.
Hands-on massage feels marvelous, but it has many health benefits, too! More and more people—especially baby boomers—are recognizing the health benefits of massage. For non-medical massage sessions, you may want to learn a few techniques on your own and proceed toward enjoyment. Some massages are just pleasurable sessions between loving couples. 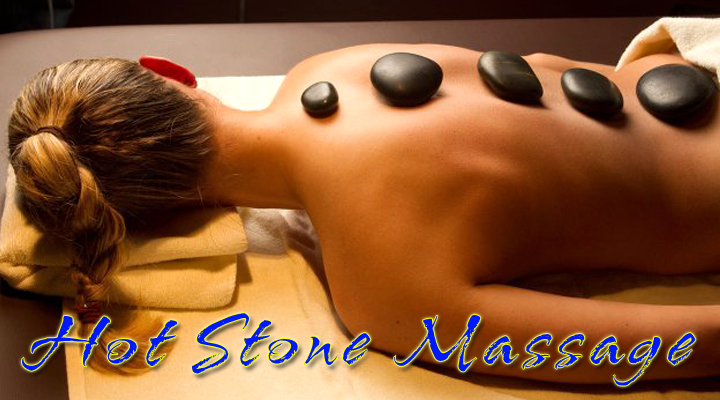 These massages can be fun, relaxing, and intimate. Join Kira and Bill Van Ittersum as they discuss the experience of massage and the positive benefits that come from different types of massage. Life is now! If you wait to start your dream, you may not get a second chance. 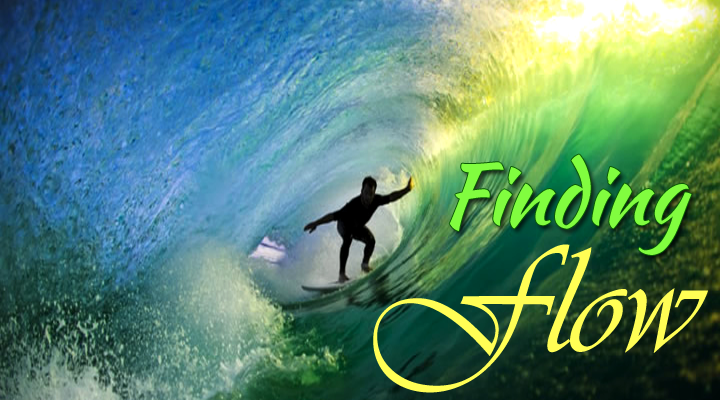 When you feel the inkling to move, then move; jump in! Accept the challenge. Make something happen. It’s all up to you. If we don’t choose what we want, then life chooses for us. Maybe we don’t feel worthy enough to choose for ourselves; or maybe we don’t understand how to. But all of your dreaming—the seeing and planning and having—is all wasted if you never start. Join Kira and Bill Van Ittersum as they give you some solid tips to overcome some of the “blockers” that stop you from getting started on your dreams. 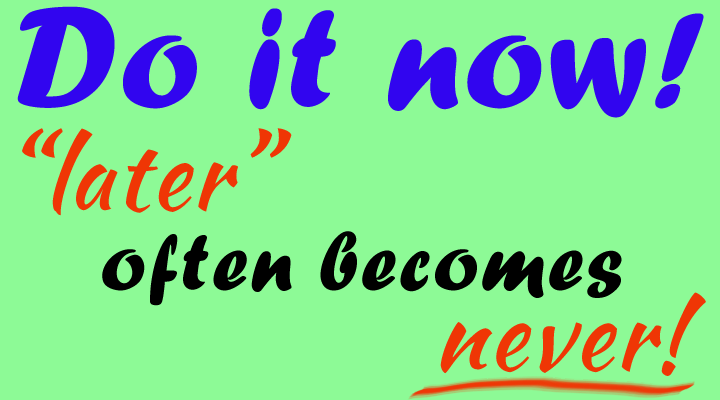 They really want to encourage you to begin “choosing and doing” right now. ©1991 by Prelude Press, Inc.
Trust is something that is essential in all relationships—whether it is a love match, a friendship, or a work partnership. We exercise trust when we marry, when we leave our children in the care of another, or when we provide services for others. We develop trust with the idea that it is a matter of integrity and good moral choice to abide by certain agreements, whether spoken or inferred. Trust is most definitely a choice. We are hurt when these agreements are broken. We will not be happy when there is a lack of trust. 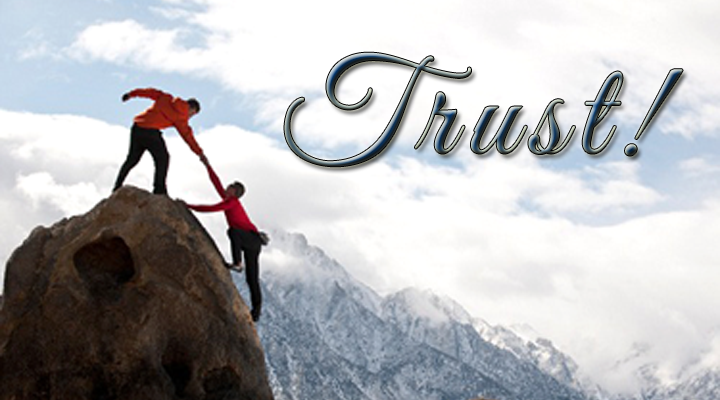 Join Kira and Bill Van Ittersum as they discuss how trust is built in a relationship, how to manage trust, and how to repair trust when it is broken. Everybody has a different idea about what is stressful in life. 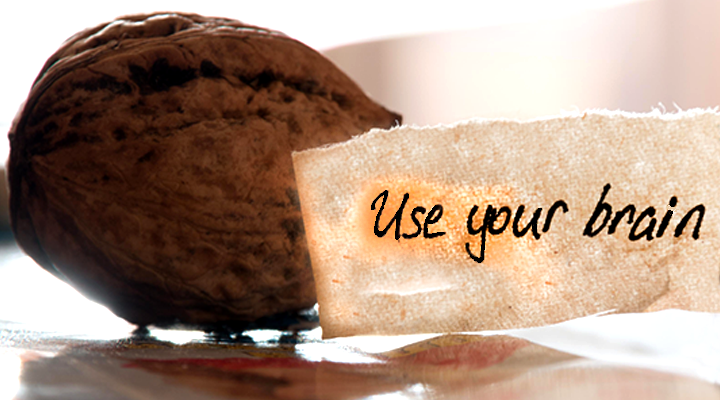 A situation or an activity that may seem stressful to you might be enjoyable for someone else. So, what’s important for you is that whatever it is that gets you all tense and balled-up inside may be producing damaging stress for you. Here are some signs that you are experiencing too much stress in your life: constantly not sleeping well, frequent and/or prolonged headaches, being angry, often having unhappy thoughts, alcohol or drug abuse, feeling depressed, bouts of low energy. When your brain is stressed, it signals your body to release a flood of stress hormones, the primary two being adrenaline and cortisol which prepare your body to take on the perceived danger. These stress hormones act on your body by speeding up your heart, making you breathe faster, and releasing glucose into your blood stream to give you a burst of energy. Your body is being prepared for the “fight-or-flight” response. Join Kira and Bill Van Ittersum as they share the “10 Steps for Stress Relief” to help you retrain your brain to act with happy, co-operative, creative decisions instead of reacting with pre-learned, negative, stress-building responses. Flow is a mental and physical state of being where you are completely in the moment; your whole being is involved while you’re using you talents to the fullest. You become absorbed, totally involved in the activity for its own sake. Time flies; ego falls away; every action, movement, and thought “flows,” one from the next. 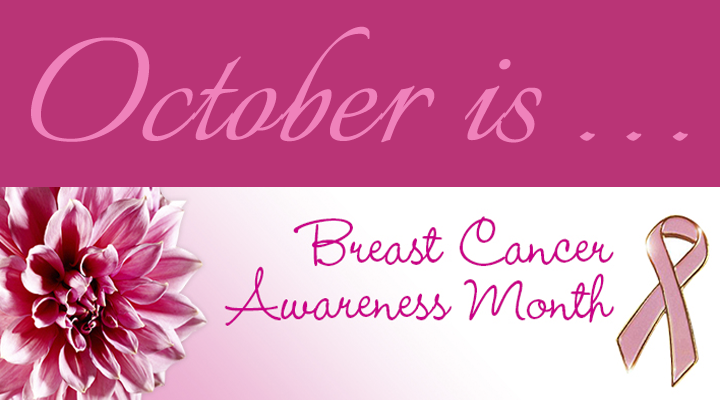 In the 1960’s, 1 in 20 women would be diagnosed with breast cancer. Back then, this was considered a very serious and threatening national medical situation. Unfortunately in 2015, fifty years later, close to 1 in 8 women are diagnosed with breast cancer—a two-and-a-half times increase! What’s causing this catastrophic crisis? What can be done about it? One bright area of research is the study of how environmental factors may contribute to the occurrence of breast cancer. These findings have led to recommendations that are deemed helpful in both treating and preventing breast cancer. Join Kira and Bill Van Ittersum as they share Dr. Mark Hyman’s Top 10 Strategies to Help Prevent Breast Cancer in their lively podcast. 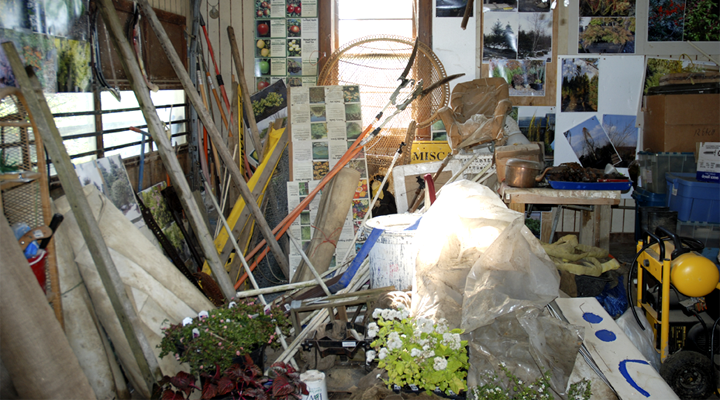 Clutter not only affects your ability to function joyfully, it also steals your creative powers! All of us have things that we absolutely love and we don’t want to even think of getting rid of, but are many of these things really being used? De-cluttering is often a work in progress for many of us—it’s ongoing for sure. Join Kira and Bill Van Ittersum as they talk about some of their clutter issues and offer helpful suggestions on how to de-clutter your space! 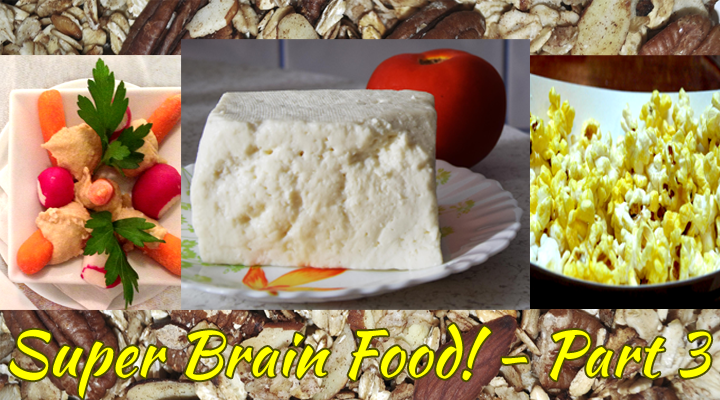 Part 3 is all about Super Brain Food Snacks—yummy treats that keep your energy up while keeping your weight down! After all, who doesn’t enjoy a good snack? Now, by “Good Snack” Kira and Bill Van Ittersum mean snacks packed with brain-powering nutrition that helps our brains function at high-level efficiency from one meal to the next. Also, snacks that will not spike our blood sugar with unhealthy levels of glucose or artificial additives. All this boils down to snacks that will satisfy our tastes and cravings without becoming extra weight we don’t need. Listen in to this great discussion on healthy snacks! Vision boards aren’t just for grownups! The positive gains that grownups get from making and then viewing their own vision board each day can be had by kids, too. In fact, kids can build life-long visualization habits by learning to make their own vision (purpose) boards at an early age. The earlier you start, the more fun they’ll have with the project. 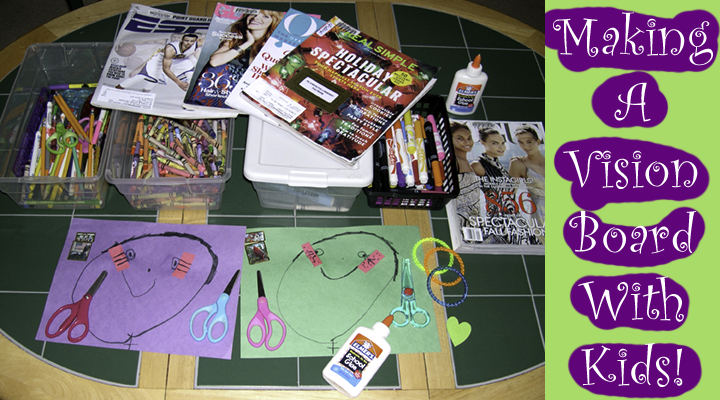 Vision boards help kids express their hopes and dreams in pictures, especially at a time in their lives when sophisticated language skills are still being acquired. This is a great time to begin discussing their likes and dislikes with them, leading up to helping them find out what they are passionate about. “How do you know you don’t like it if you never tried it?” is a great question to ask. What we eat has a lot to do with the health of our brains. A diet balanced in organic, whole vegetables, “good” fats, and protein will keep your brain in optimum running condition. In fact, if you misguidedly tried to cut out all fats from your diet, and skimp on protein, your body would sicken and die! 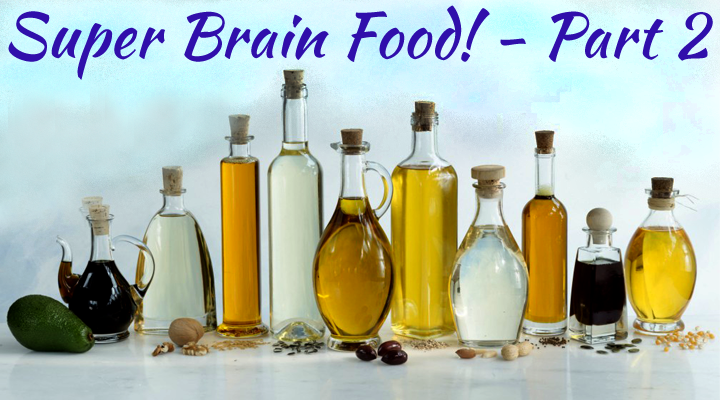 In “Super Brain Food – Part 2, Kira and Bill Van Ittersum talk about 8 “good” fats in both whole vegetable and oil form. Listen in to see which ones you’re consuming daily! by Dr. David Perlmutter, M.D. Would the Real Olive Oil Please Stand Up? by Dr. Emily Deans, M.D. When you make eating healthy foods a daily habit, it not only nourishes your body but it increases the odds of enjoying a happy, healthy brain for the whole of your life. So much research has now concluded that eating healthy—fresh, organic, and whole fruits and vegetables, good fats, beans, and good grains—will indeed reduce your “biological” age as your body ages chronologically. Most children, teens, and young twenty-somethings are not too concerned with these findings, unless they have unusual and/or serious ailments. However, once a person reaches thirty, the “uh oh” syndrome begins to arise. You can’t run as far—or as fast, you don’t sleep as well, you may have bouts of “fuzzy” thinking, and your weight begins to creep upward. This problem only increases in your forties and fifties. By the time you’re sixty, you really take notice and try to reverse things to bring your body back to a new “healthy normal.” Why wait until you have dug a deep hole for your body to stand in? Why not give your body a lifelong gift and start feeding it right? 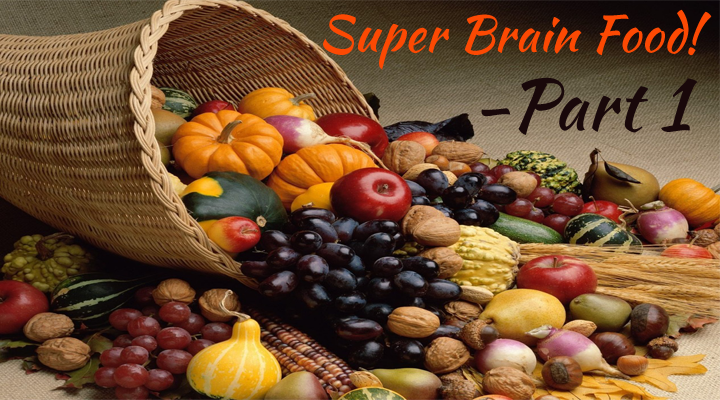 Listen in as Kira and Bill Van Ittersum discuss “Super Brain Food” over a series of podcasts. Psst! It’s not only “Super” for your brain, but your whole body as well! Brain Health: Can These Tricks Make You Smarter? Just like your physical body, your seven energy centers, or chakras, can be adjusted and balanced. The benefits to a balanced “energy body” are: more vitality in mind, body, and spirit, and keeping the spiritual pathways open to receive inner intelligence, healing, and guidance. 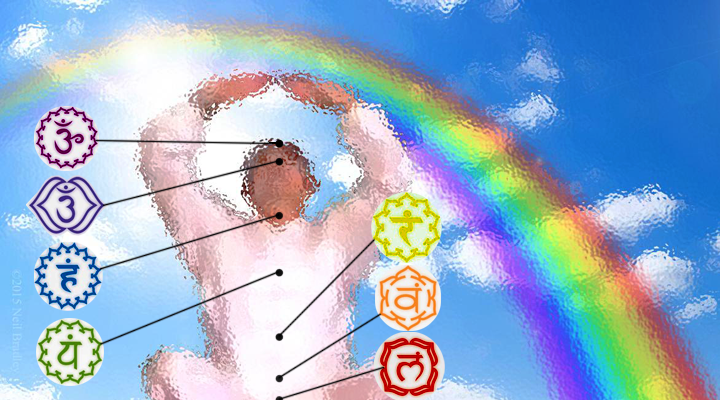 In fact, many healers say that “dis-eases” of the physical body begin with imbalances in the chakras. Join Kira and Bill Van Ittersum as they describe balancing methods for each of your seven chakras, and how you can keep them in tip-top shape. Listen in as Kira and Bill Van Ittersum share their secrets to constructing and implementing a successful meal planner. 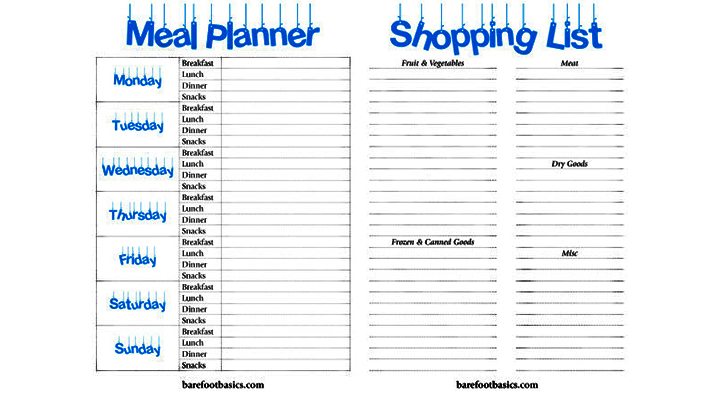 You’ll not only get some handy tips and ideas, but you’ll have fun, too, listening to their lively banter. 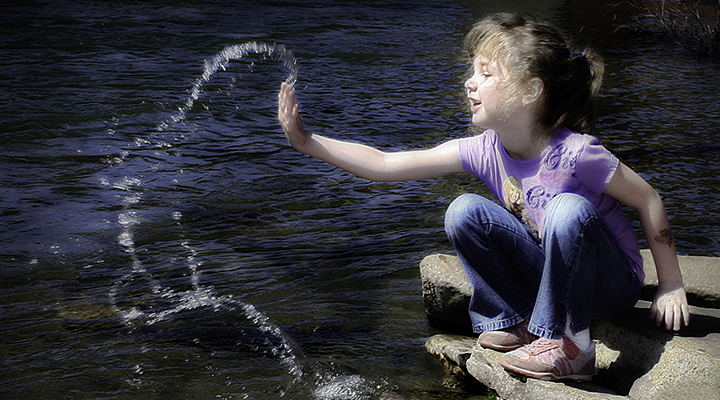 Kids need lots of opportunities to find their strengths and learn to take safe risks. You also need to guide them in their decision making but, ultimately, let them resolve many things on their own. This is the way to raise strong, competent adults—people who can make a difference in their world! Listen in as Kira and Bill Van Ittersum discuss their twelve steps to raising competent children. See how many of these useful tips you are already using! 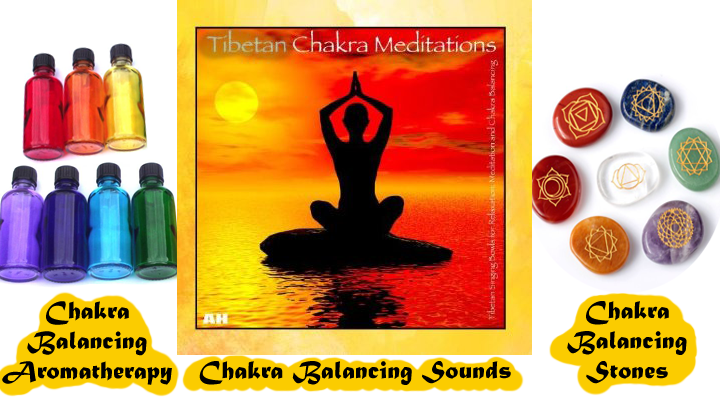 There are 7 energy centers in the body called “chakras” and each one also houses our mental and emotional strengths. They are the psychic-soul mind-body connection points between you and the inner worlds. Join Kira and Bill Van Ittersum as they name the 7 chakras, describe their influence on the body, and how they work together for your benefit. 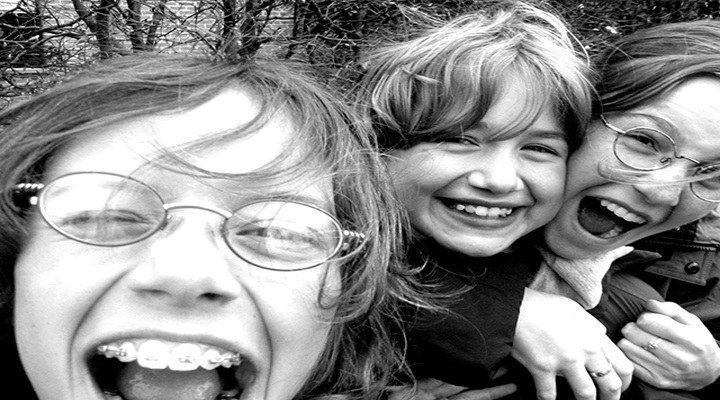 Kids not only do humorous things, but they are great humor barometers. When something strikes their funny bone, they will laugh and laugh without any reserve. They like to giggle and repeat silly phrases and exaggerate them over and over. Kids love funny, goofy stories that could probably never really happen. You may be surprised at the things they find funny—sometimes you may even be horrified! Listen in as Kira and Bill Van Ittersum share their grandkids’ favorite Funny Bone Books! 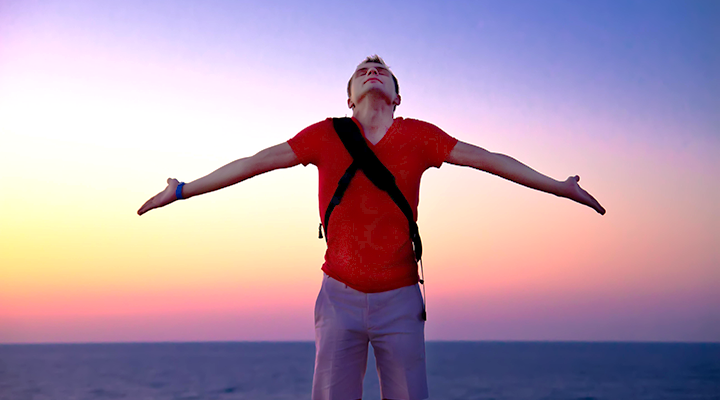 In this podcast, Kira and Bill Van Ittersum share tips and ideas to recognize your breathing as a conscious “tool” for wellness and how you too can train your breath to stimulate divine awareness. by Swami Rama, Rudolph Ballentine, M.D., and Alan Hymes, M.D. by John R. Harvey, Ph.D. 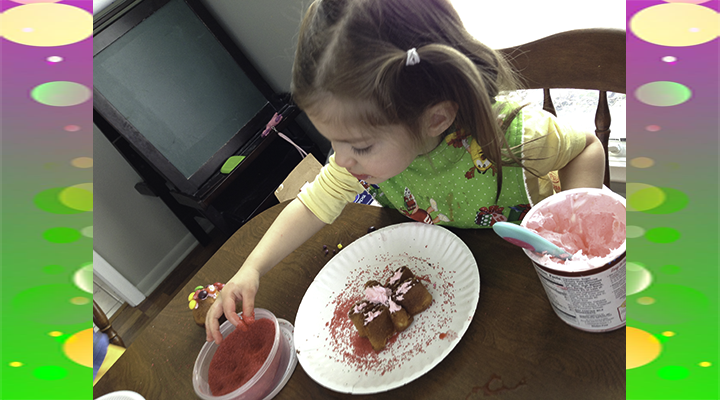 If you want to see smiles and hear laughter in your house, have a baking play day with your kids and grandkids! The happy memories will last-and-last, especially if you take lots of pictures with your smart phone—and a video or two! 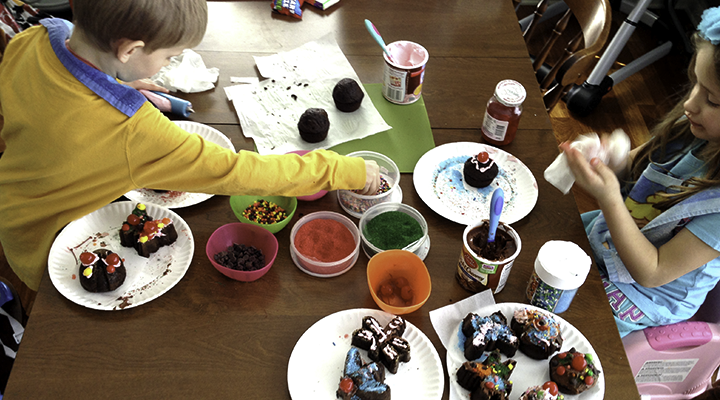 Listen in as Kira and Bill Van Ittersum share the fun they had with their grandkids on various baking days. On each occasion, great times were had by all and delicious treats were even available to share with their parents! From time-to-time, all of us get stuck. It’s what we do next that really counts! The more creative you are at becoming unstuck, the less likely you will be stuck in that same way in the future. Join Kira and Bill Van Ittersum as they share 5 ways to get you unstuck and get your mojo working again. They have used all of these methods at one time or another and have found success in each of them. Listen in and add some new tools to your kit bag! by Marlene E. Hunter, M.D. by Fred P. Gallo, Ph.D. and Harry Vincenzi, Ed.D.